1. Rock out to Foals, who’ll be headlining with an exclusive UK festival set. The Oxford band are tipped as future Glastonbury headliners, so seeing them in this relatively intimate environment should be pretty special. 2. Chill out to the opulent, heady electronica of Bonobo. With ‘Migration’, the Brighton producer has made one of 2017’s most life-affirming albums, and he’ll be playing a full live set at Citadel. 3. Feel the full feral force of Wild Beasts, whose slinky soft rock could make a monk question his vows. 4. Get your folk on to Hudson Taylor, the acoustic Irish duo whose music slips down easier than a cider in the sun. 5. Enjoy street food from Anna Mae’s and Patty & Bun – then work it off at The Spandex Stage, where lycra-clad fitness gurus will be channelling Jane Fonda. 6. Expand your mind at Citadel’s Science Camp. Join an adult chemistry class, take lessons in lucid dreaming, and hear from the curator of the Science Museum’s acclaimed ‘Robots’ exhibition. 7. Bask in the glorious gothic soul of Nadine Shah. Raised in the North East and now based in nearby Stoke Newie, she’s one of UK music’s most underrated voices. 8. And finally, fall hard for Maggie Rogers, whose super-emotional breakthrough songs ‘Alaska’ and ‘On + Off’ already sound like low-key festival anthems. Citadel will be at Victoria Park on Sunday July 16. 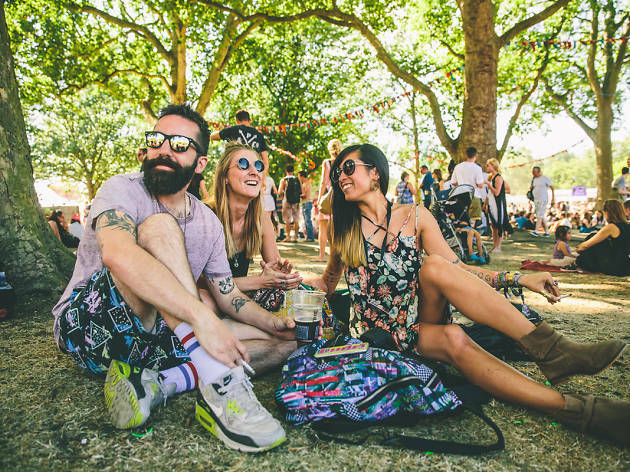 Find more great music festivals in London.